The Lincoln Lancaster County Health Department works with our partners to assure a healthy community for the residents of Lincoln and Lancaster County. Action Now! Community Diabetes Prevention & Control is an education outreach partnership formed to prevent diabetes and its complications. The focus of Action Now! is to help the public understand how to prevent, delay, or control diabetes and its serious consequences by eating healthy, moving more, and knowing the important health numbers of blood pressure, blood sugar, cholesterol, and body mass index (BMI). 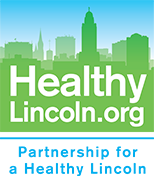 In the January 2015 segment of Shape of the City, Angelina Stovall Amos from the Lincoln Lancaster County Health Department and talks about the 54321 Go Program. On a December 2014 10 Health TV Shape of the City segment, Andrea Haberman of the Lincoln Lancaster County Health Department with community partner Aaron Bowen of the Community Action Partnership discuss open enrollment for healthcare plans and other health related topics.